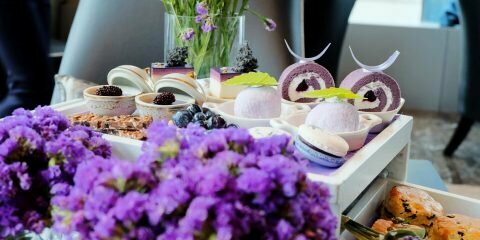 Do not wait till Songkran, today Great Gastro brought you a new way to celebrate summer in style with varieties of food! 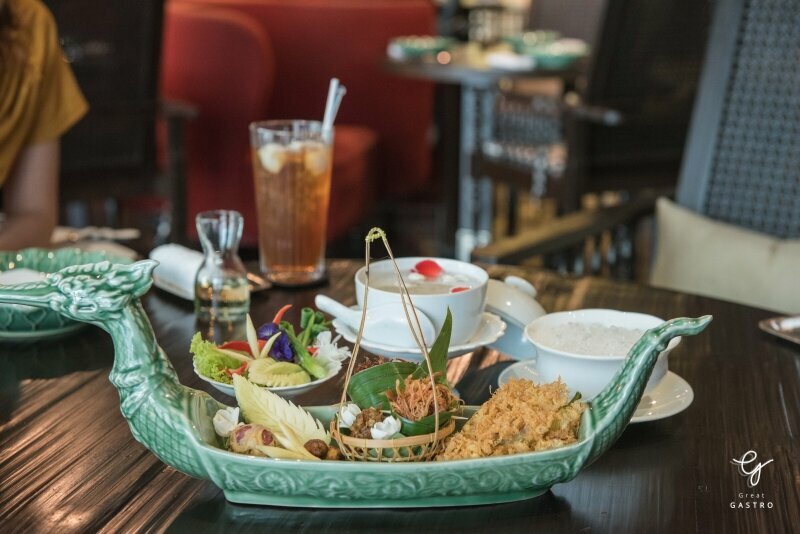 Come and join us for a delicious journey at Erawan Tea Room. 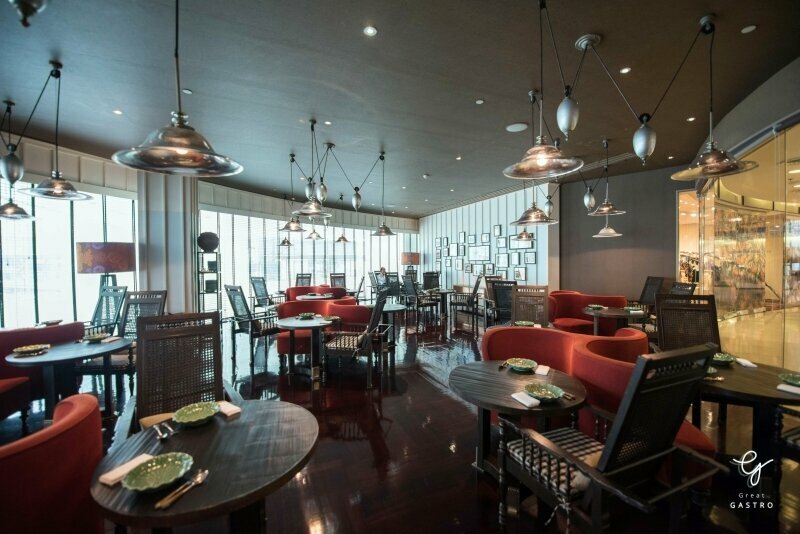 If you think Thai food served by hotel is not authentic, you might change your mind. Curious? You will find out soon enough! 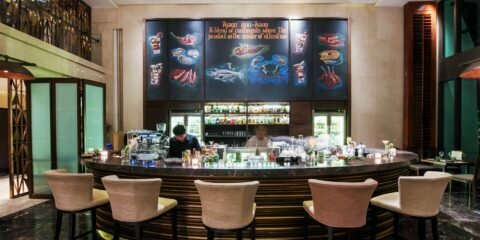 Do not be misled by the name, Situated within the attached boutique Erawan Bangkok Mall, the Erawan Tea Room serves authentic Thai cuisine and a selection of fine teas from China, India, Sri Lanka and Thailand. 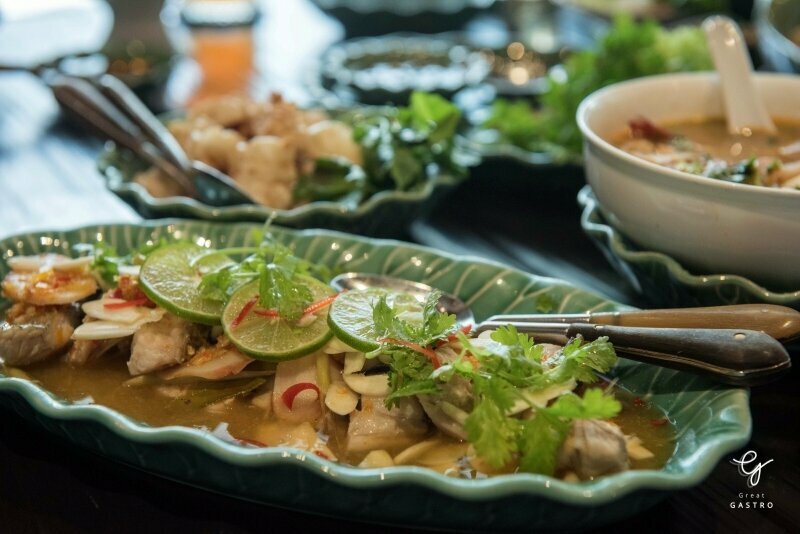 The menu included Thai favorites a la cart such as Tom Yum Kung, Som Tam, Thai style noodles and Thai traditional desserts. If you are a fan of that food, you are at the right place. Speak of Khao Chae, Chef Kriengkrai Jakkhujuntorn told us about the way to cook this special dish, Firstly stream the rice till it 60% cooked, then clear it in a fresh water. Secondly, again, stream the rice to well done. These processes will keep the rice in a perfect shape and texture. Thirdly, prepare a jasmine-infused water and leave it overnight. Finally, soaked the rice in a jasmine-infused water topped up with ice and served with side dishes. 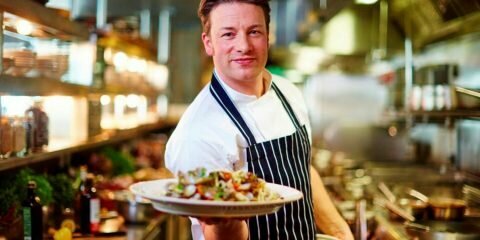 The difficulties of this palace recipe is that a jasmine-infused water need to be papered daily and cannot be keep over a day. Also, the rice should be the one from top quality which make this complicate menu hardly find in normal cuisine. 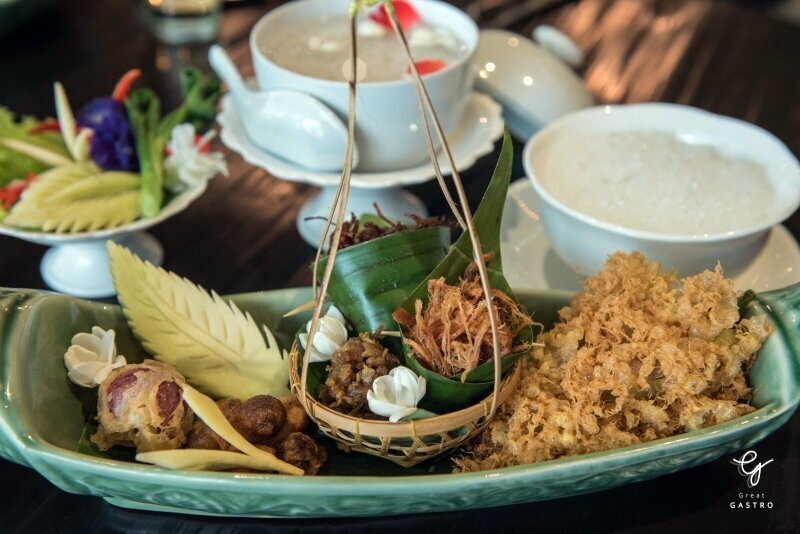 Chef Kriengkrai Jakkhujuntorn’s khao chae consists of a lavish array of traditional condiments, including fried shrimp paste balls, ground steamed stuffed bell peppers with minced shrimp, sweetened shredded fish, crispy beef and pork threads and sweet preserved radish. 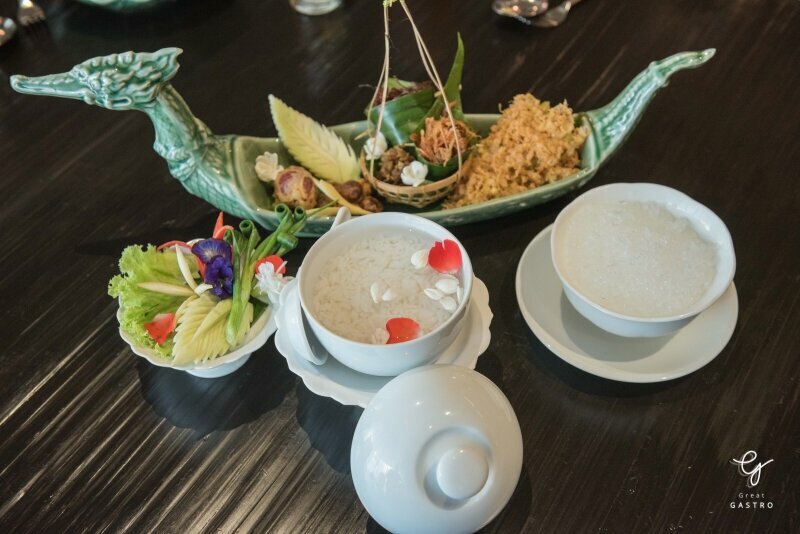 Apart from Khao chae, there are several kinds of special offer available only from this summer to 26 April. Let’s have a look! 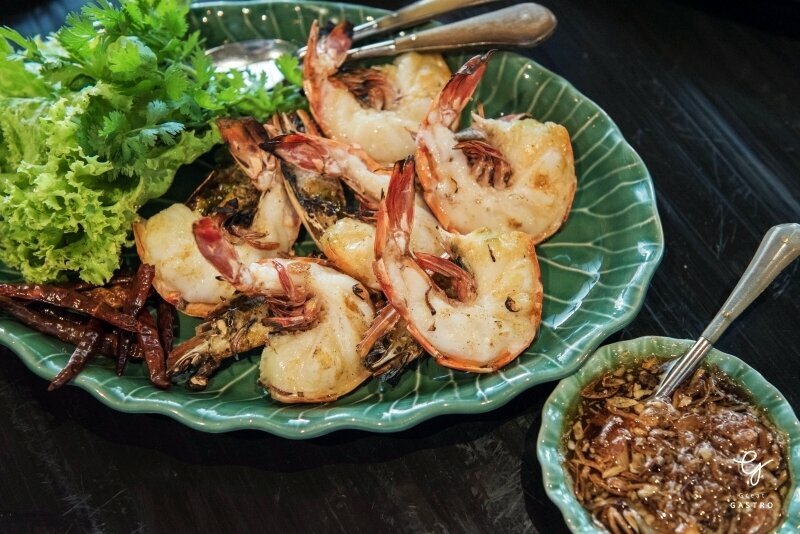 A big size tiger prawn grill on fire served with Sweet & Sour Fish Sauce Dip, a traditional Thai sauce, then topped up with deep fired garlic. Usually, we found Sweet & Sour Dip served with mango. How does it taste when accompany by Prawn? Hmmm? Drop by and try for yourself. A sweet zucchini fried with egg garlic and shrimps. If you want to cool down temperature, zucchini is a perfect answer. 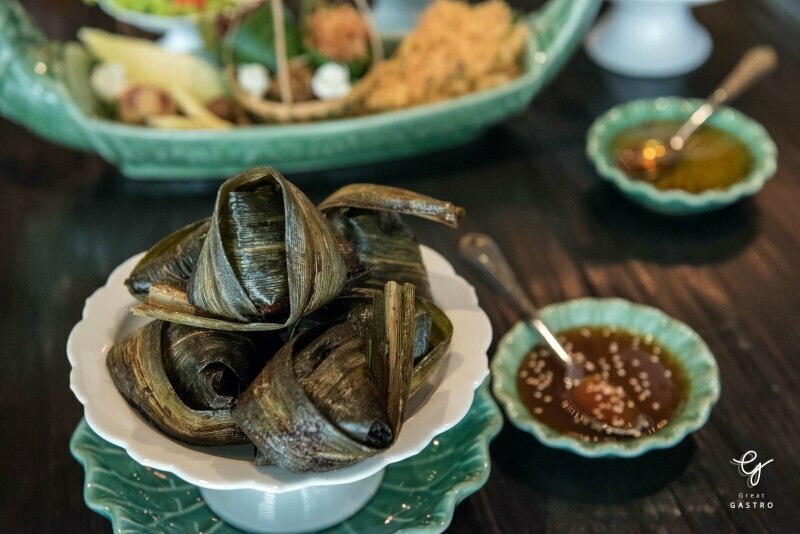 Can’t get enough of Thai dishes? Don’t worry! More food is coming up this way. 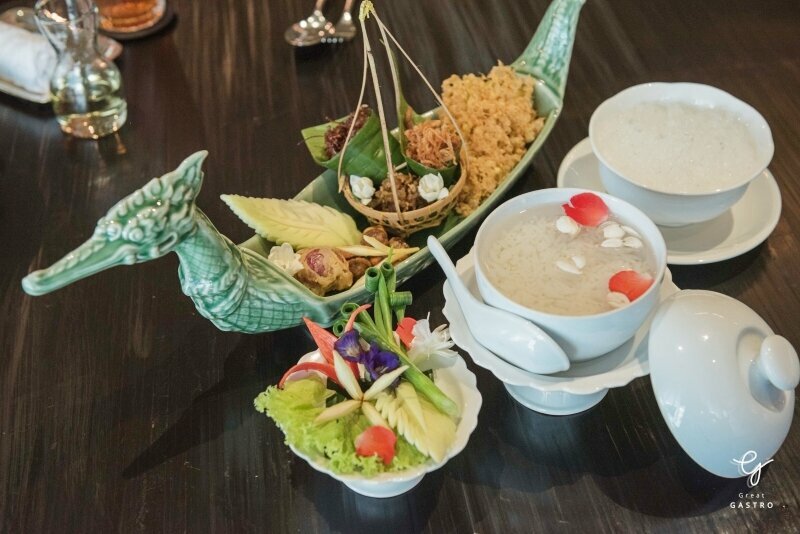 Enjoy an authentic Thai food with local organic ingredients and Sustainable fishery concept at Erawan Tea house. 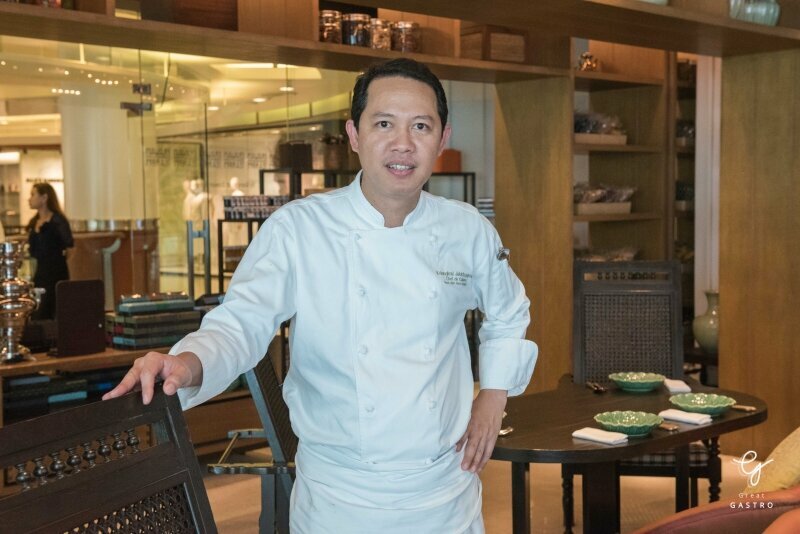 The freshest ingredients together with Chef Kriengkrai’s experience creates the finest menu in which good for customers and societies as a whole. 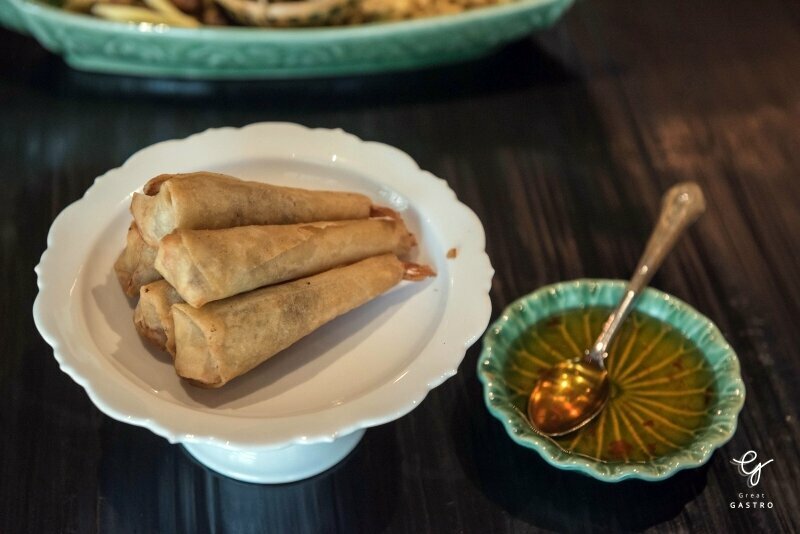 Start the next round with Deep-fried Prawn Spring Rolls. This classic starter is a perfect of fresh and juicy Prawn and a crispy rolls. Spice up a bit with sour chili sauce, you surely want to have a bite. A big piece of juicy streamed chicken covered by Pandan Leaves, then fried in a hot oil. The chicken is crispy but tender from the inside with an aroma smell Pandan Leaves. If you are sour lover, you shouldn’t miss this salad. 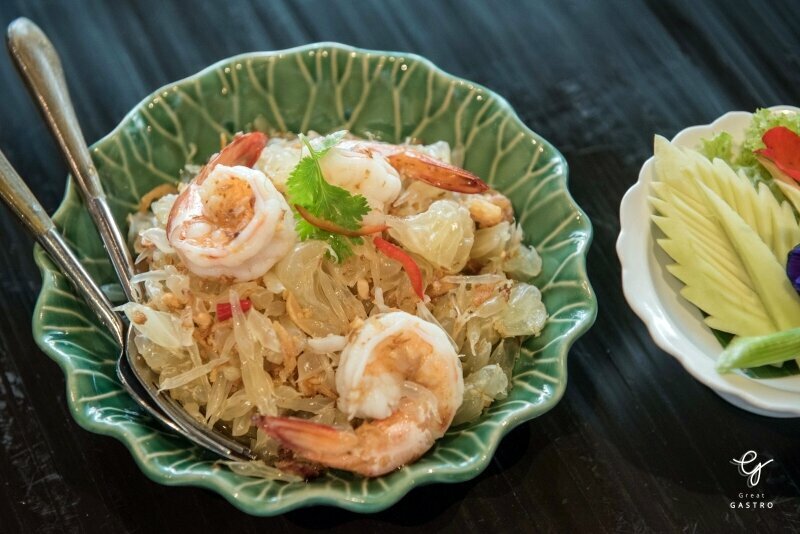 A sour-sweet Pomelo mixed with spicy sweet and sour sauce accompany by Banana Prawns. Deep fried garlic and nuts added the special chewy texture to this creation. Snapper is already good, but Rock Snapper is even better! Discover the taste of organic catch fish with sweet meat and low fat served with Sour and spicy lemon sauce spiced up by chili and garlic. 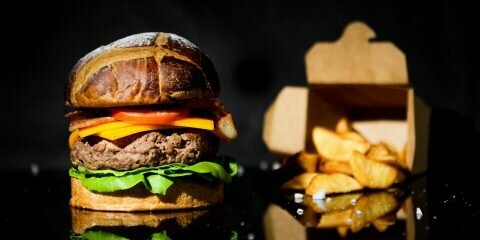 Do not judge the food from the appearance! 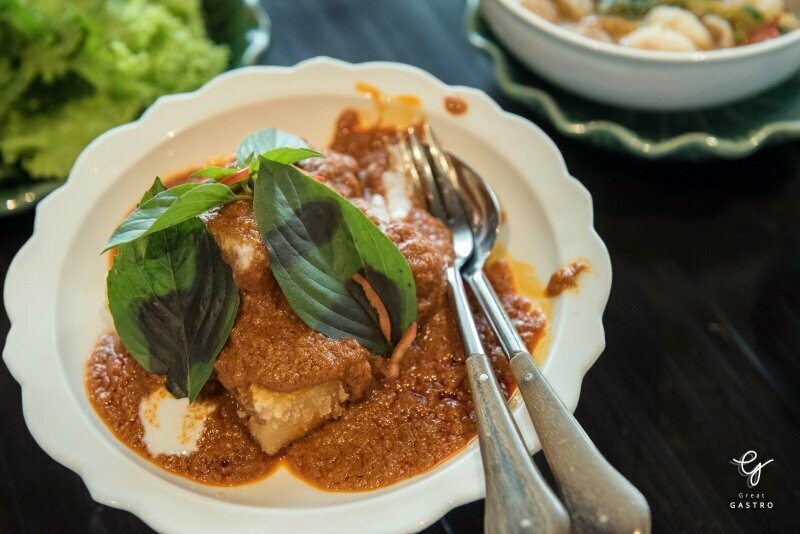 The crispy and tender deep-fried bean curd comes with spicy Red Curry Paste mixed with creamy coconut cream. If you love Tofu and you love spicy, this dish is a must! 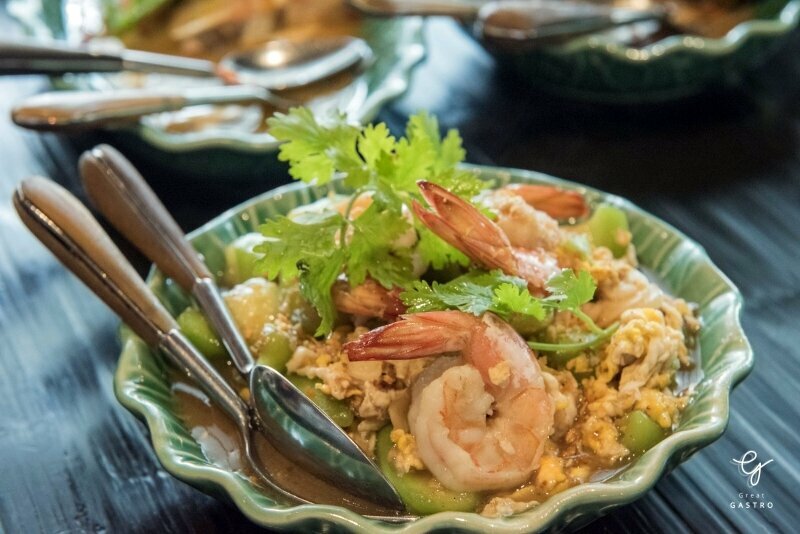 Can you resist this all-time classic ‘Tom Yum Kung’? 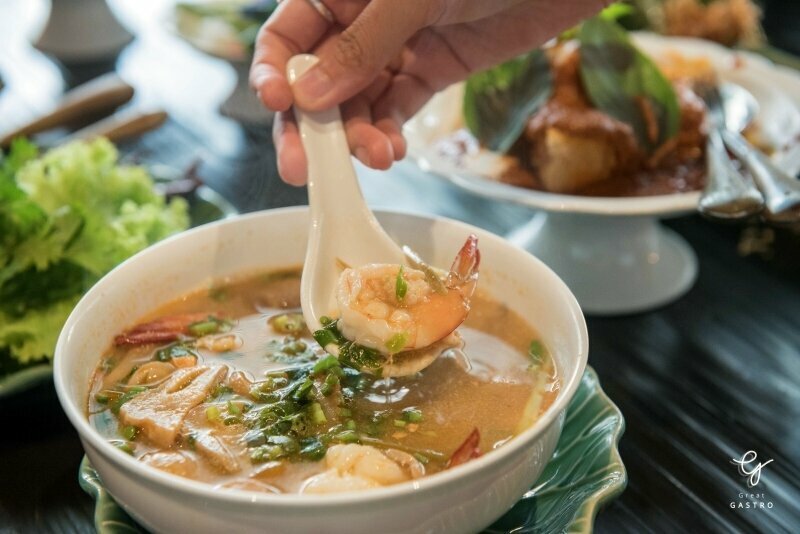 A banana prawn and mushroom served in spicy and sour soup. 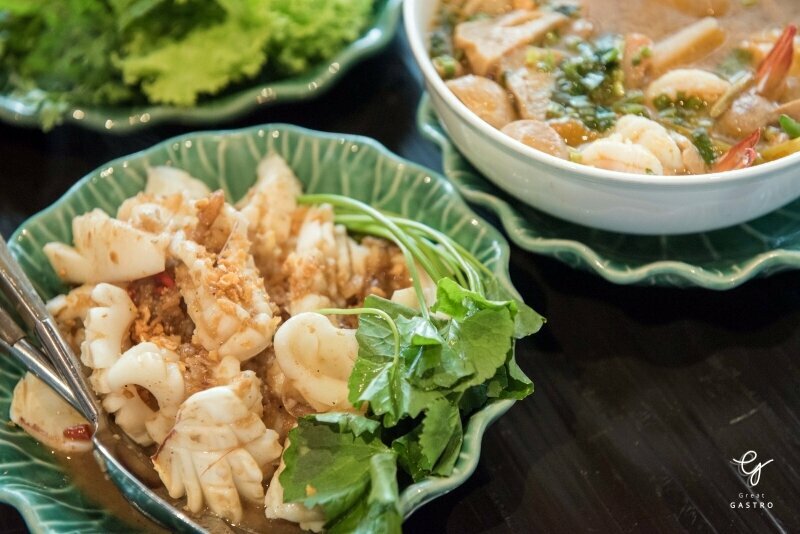 Thai meal won’t be complete without this signature dish. A big cut of cuttle fish cooked with garlic, chili, then make it a bit more spicy with chili. Forget about the squid you used to have, this cuttle fish with thick and chewy texture. Full already? 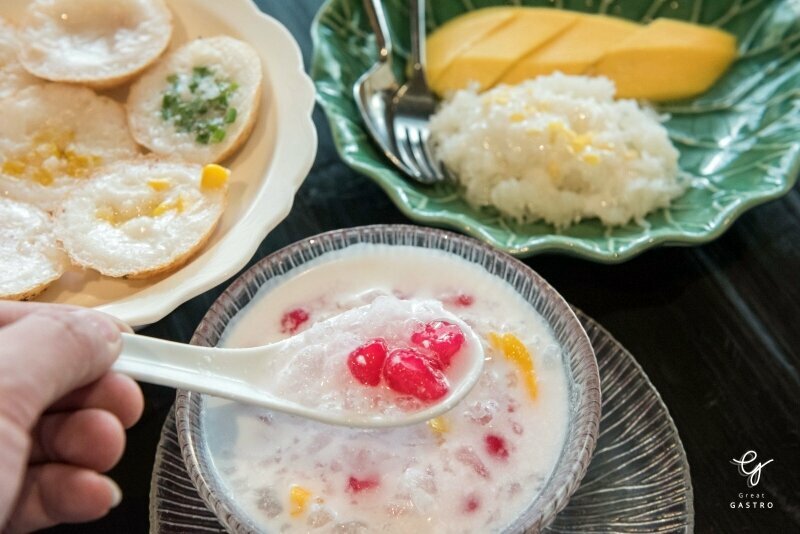 Save room for dessert cos the top-rated Thai traditional dessert is coming to satisfy your taste buds. A colourful crispy rice pudding comes with creamy coconut cream with just a touch of sweet. The topping is available in 3 different flavors: Taro, Corn and Spring Onion. Choose one or have them all. 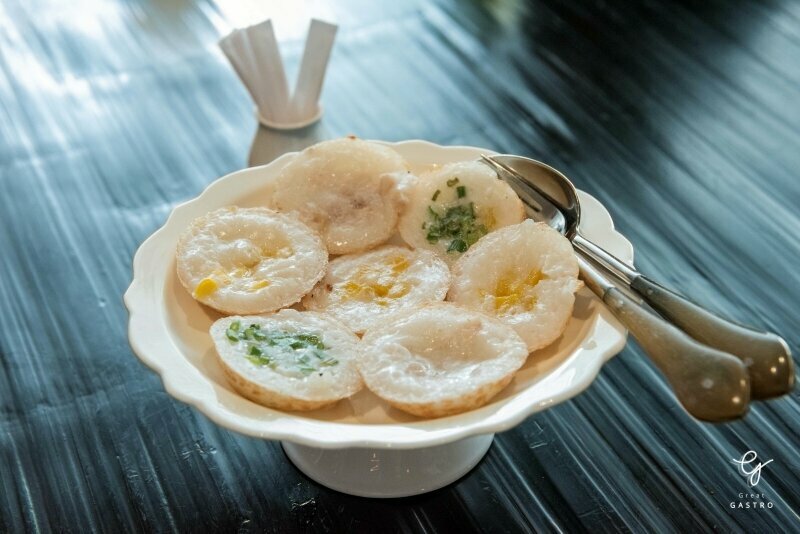 What would be better for this summer season than the iced water chestnut dumpling? a red chewy dumpling in coconut syrup is the last answer! Here comes the star! 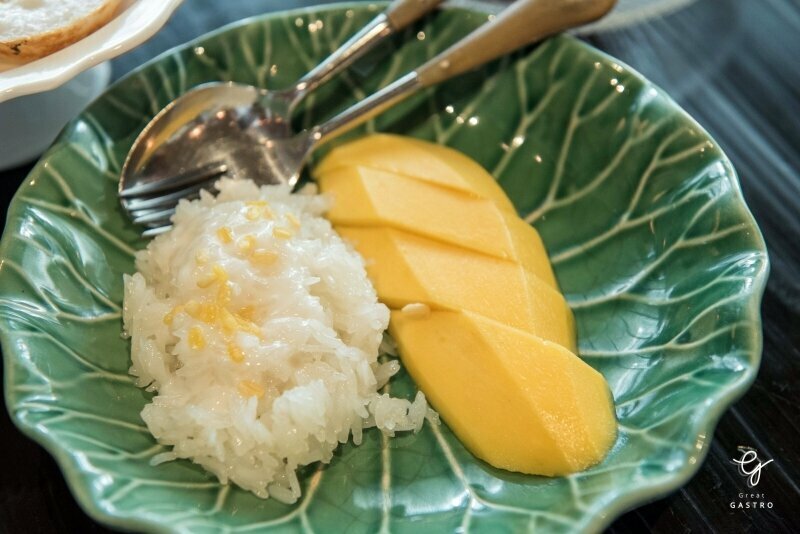 Mango Sticky rice, a summer dessert with sour taste from mango and sweet creamy taste from sticky rice and coconut milk. Could you ask for any better? 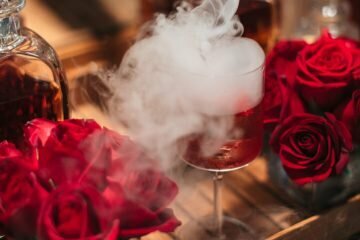 An Authentic Thai recipe combine with sense of creation and sustainable ingredients create an unforgettable experience which we would strongly recommend you. 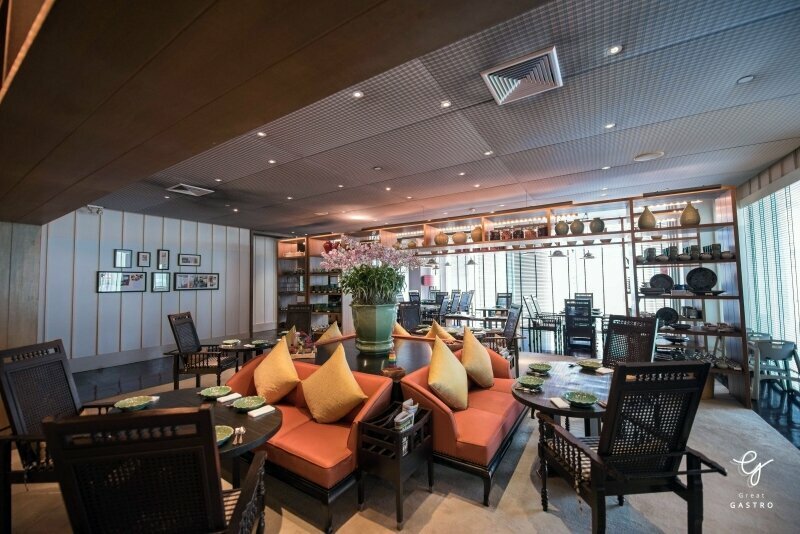 If you are looking for some place to celebrate Thai New Year Season or just a nice place to chill out, put Erawan Tea Room on the list of your wish. 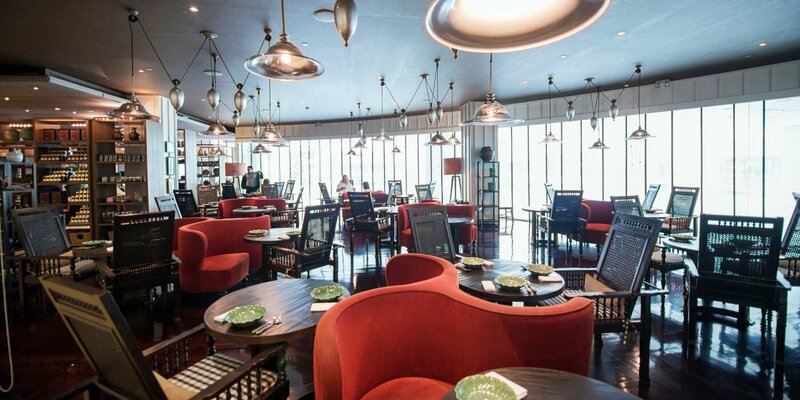 The finest Restaurant open daily from 10.00 hrs. to 22.00 hrs. 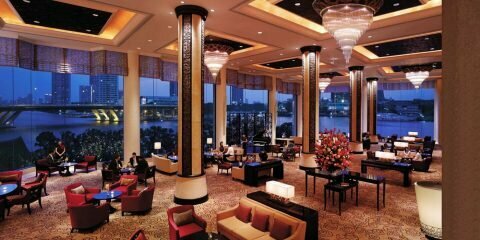 If you want to experience a Thai Afternoon Tea, just drop by around 14.30 – 18.00 hrs. Open Daily from 10:00 – 22:00 hrs.